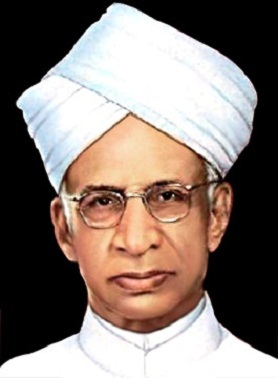 The birth day of former President of India, Mr. Sarvepalli Radhakrishnan is celebrated as Teachers day in India. Sarvepalli was born in a small village named Tiruttani near Chennai on 5th September of 1888. He was very fond of studying. He started his education at German Missionary School of Tirupathi which continued further by scholarships. He completed MA Philosophy at Madras Christian College. He has joined as lecturer in Madras Presidency College at a young age of 20 only. His attitude and teaching style had attracted the students very much. He used to study various books of the college library and used to write essays on the concepts. Sarvepalli Radhakrishnan worked as professor at University of Mysore in 1918 and Kolkata University in 1921. His narration ‘Indian Philosophy’ had earned a lot of reputation all over the world. He was invited several times to give lectures at the Oxford University. He has worked as vice chancellor for Banaras Hindu University and at Andhra University. He also worked as messenger of UNESCO and Soviet Union. He guided Indian educational system by working as a member in the ‘University Education Commission’. He has worked as vice president of India in 1952 and as President of India in 1962. He was awarded ‘Bharatratna’ in 1954. He led a very simple life without any luxuries. He donated all his monthly income except 2,500 to the Prime Minister Rescue Fund. His birthday has been declared as Teachers day on his wish.